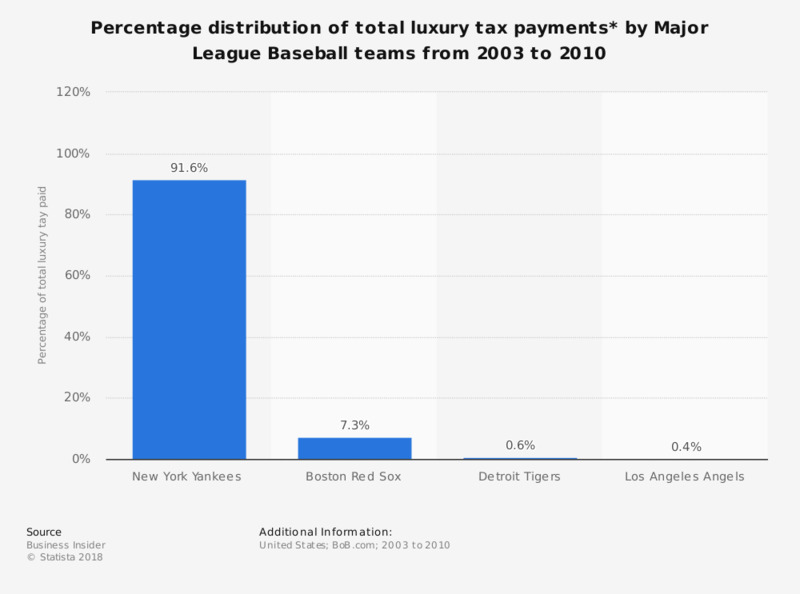 The statistic depicts the distribution of the luxury tax* paid by Major League Baseball teams from 2003 to 2010. The luxury tax is officially known as Competitive Balance Tax (CBT). The Boston Red Sox have paid 7.3 percent of the total luxury tax sum. * According to the source, the luxury tax in baseball is a tax on payrolls above a specific threshold each year.